VATICAN CITY (CNS) — Don’t let the mantra of economic freedom and thirst for profits prevail over human rights and freedoms, Pope Francis told a group of Italian business owners. Don’t allow the market to be “an absolute, but honor the requirements of justice,” he said in an audience at the Vatican Feb. 27 with representatives of Confindustria — a federation of employers and the chamber of commerce in Italy. Let promoting the common good be what guides production “so that an economy by all and for all may grow,” the pope told the representatives. 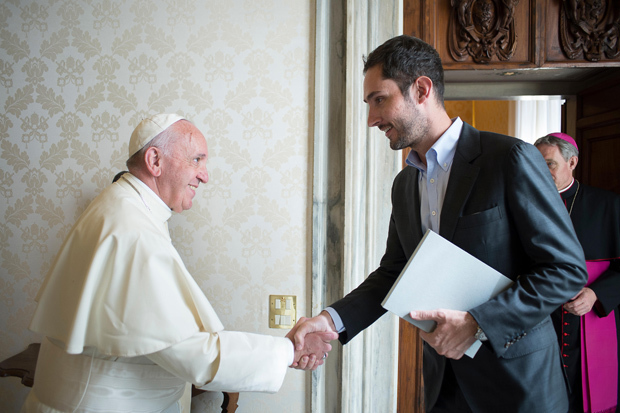 The pope asked that special attention be paid to the real needs and dreams of families and young adults as well as older people who may still have the willingness and know-how to contribute to businesses. For example, he said, concrete focus on families means liberating “mothers and fathers of families from the anguish of not being able to provide a future, much less a present to their own children; it means knowing how to lead and also how to listen,” sharing ideas and using work to create new jobs.